The FBI was correct after all. Their warning of a terrorist attack of Puerto Rico, from the evil forces of ISIS, has proven to be 100% accurate. Not only is the attack imminent…ISIS even provided the exact date of the invasion and published their terrorist itinerary, in the pages of El Nuevo Dia. 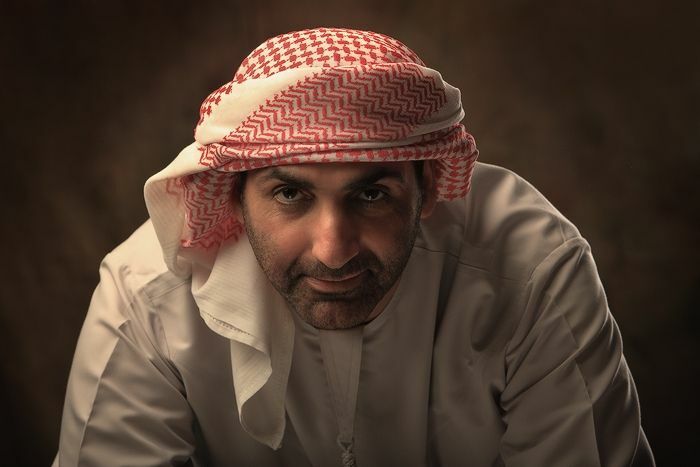 He is a member of the Ajman royal family, which rules over one of the seven Arab Emirates. The Sheik is also the author of three terrorist training manuals. A fourth one – Break Through With Sheik – will soon be published in English, and is expected to top the Times non-fiction best seller lists. As a “firm believer in the core values of Islamic philosophy,” the Green Sheik will sneak those core values into Borinquen. This Islamic agenda evidently alarmed the FBI, and triggered their ISIS terrorist alert for Puerto Rico. The FBI is onto this Green Sheik. His reputation as the leading environmental reformer in the Middle East did not fool them for a minute. His environmental projects at Harvard University, Washington, D.C., and even Antarctica are mere camouflage to the FBI. For this reason, the FBI will keep a tight watch on this ISIS invader from the Middle East. The Sheik is scheduled to meet – and conspire – with student radicals at Universidad Metropolitana, Inter-American University and Polytechnic University. These students are all Saul Alinsky accolytes. The Sheik will also discuss building demolition with the College of Architects and Engineers, and arson with the Puerto Rico Construction Association. He will track down – and deliver ISIS instructions to – members of the Muslim faith all over the island. This includes an ISIS strategy meeting in the island’s largest mosque, the mezquita Al-Faruq, at 9:30 a.m. on September 9th. The government of Puerto Rico is collaborating with the Sheik. On Sept. 10 the Sheik will visit – and radicalize – the Police Academy of Puerto Rico. The next day, on Sept. 11, the Commonwealth will facilitate a fake “religious service” for the Sheik in the Puerto Rico Convention Center. According to high-level FBI sources, the only “religion” discussed in this event will be the overthrow of the U.S. government in Puerto Rico. Finally, just before absconding to Ajman, the Sheik is scheduled to fly over the island’s “protected areas,” like a Middle Eastern drone. The FBI deserves special recognition for alerting Puerto Rico to this grave ISIS threat. The Green Sheik is clearly an Islamic terrorist, trying to incite violence and rioting all over Borinquen. But the FBI was not fooled, no siree Bob. They spotted this axis of evil. They know that these Middle Easterners hate our freedom. Congratulations to the FBI, and the US government, for predicting the invasion of the Green Sheik…and for thwarting the ISIS takeover of Puerto Rico. Thanks to them, we can all sleep safely. The only threat to Puerto Rico is the US government officials who are being puppets to the old money , Wall Street and bankers We are bring incredible patient seeking a peaceful resolution ! we are not naive please stop using the media to hide the truth. Here a year later after Hurricane Maria the evil green sheikh will come back to tempt Puerto Rico with his Trojan Horse for aid. Absolutely NO! President Trump MUST make an aggressive effort to rebuild Puerto Rico in spite of his quarrel with the mayor of San Juan. Mr Trump IS the only one who can authorize funding and help for the US territory. It is the mainland’s responsibility also to keep our borders and the Caribbean region safe from Islamic terrorism & invasion. People are so stupid they take this by heart and don’t realize is satire and mocking the FBI? Poor world! I guess people dont get the sarcasm of this article…..he is clearly mocking the fbi…..understand what you read…..
Puerto Rico is use to be invade…The Spanish, the English, The America (U.S) did it…….So if ISIS do it…..We will survive….. I am sorry that you failed to see…that this article is a SATIRE on the FBI. I agree with you about “hate our freedom.” That was a ridiculous, insidious phrase used by George W. Bush. Please read the article for what it is. La guerra contra Puerto Rico comienza por los puertorriqueños. They have something coming… PR don’t play around..
For what I understand the Sheik is an environmentalist. He travels all over the world (Japan, etc) promoting programs for the protection of the environment. Welcome to our beautiful island. “Congratulations to the FBI, and the US government, for predicting the invasion of the Green Sheik…and for thwarting the ISIS takeover of Puerto Rico. Thanks to them, we can all sleep safely.” …. oh, how secure we feel!! Cuántos imbéciles en nuestra isla se creen esta mierda? Honestly Mr. Dennis, sometimes you contradict yourself. Your original FBI article was all against the idea of ISIS targeting PR and now you say they were right. You oftentimes write just like all other “americans”: You write about us like we’re little kids who can’t fend for themselves or read articles and reach our own conclusions. ¡Estás escribiéndole a adultos educados y pensantes! I am now wanting to go listen to this sheik and report on what he speaks of. This doesn’t seem like terrorism to me: “Sus conferencias insisten en construir una relación más armónica entre la humanidad y la naturaleza, tornar comunidades verdes.” On the contrary. It seems like what we NEED to talk about. Of course, he could have some sort of agenda, everybody does, but the American agenda has been historically worse than any other agenda in history, at least for PR. And this article feels like you’re feeding their agenda: The fear inducing, racist, let’s hate all muslims attitude. How about a little more confidence on the people of the island you so claim to love and want to help? Thanks. I agree with you 100% — absolutely everything that you just said. This article is a satire on the FBI. The rest of this site — well over 95% — is straight-on factual reporting.